ARRA News Service: Iran Nuke Deal . . .
Iran Nuke Deal . . .
. . . appears more like a Suicide Pact. Question for Sec. Kerry: Barring what the "Dear Leader" wanted, how is your deal with the Iranians not treason? 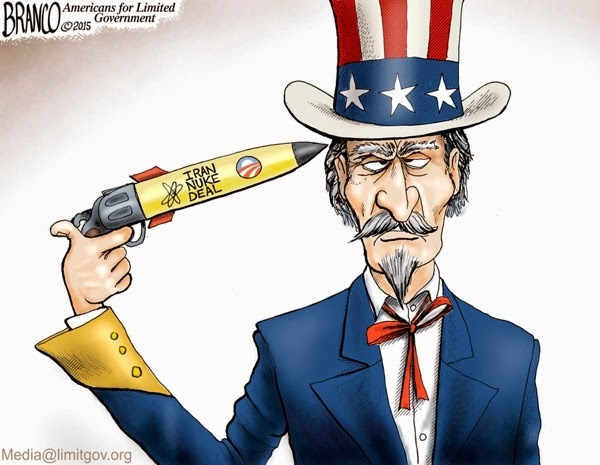 Tags: Iran Nuke Deal, US, John Kerry, Suicide Pact, editorial Cartoon, AF Branco To share or post to your site, click on "Post Link". Please mention / link to the ARRA News Service. and "Like" Facebook Page - Thanks!